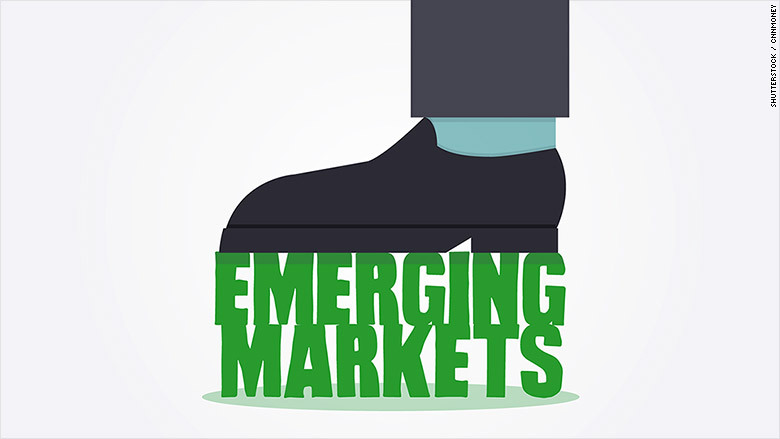 Investors can't get their cash out of emerging markets quickly enough. Money has been pouring out of developing economies at a faster pace, and for longer, than during global financial crisis of 2008 and 2009, according to data from NN Investment Partners, an asset manager based in the Netherlands. About one trillion dollars has been withdrawn since July 2014, double the amount that fled during the nine months to March 2009, it said. The triggers? China isn't buying as many commodities as it once did, and the world is awash with oil -- hurting exporters. The chance that U.S. interest rates could rise this year is also sucking money out of riskier markets. The Russian economy is tanking, Brazil is on the ropes, and Kazakhstan was just forced to devalue its currency by nearly 25%. More than $52 billion fled Russia in the first half of 2015, on top of $150 billion last year, official data show. Brazil saw $48 billion flee in the first half. 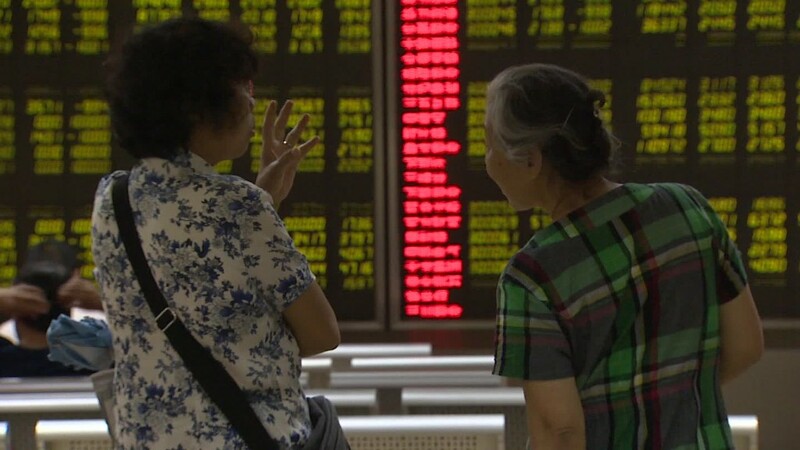 Economists say China too has suffered outflows, but the exact numbers are not known. Investors are now backpedaling fast after pouring around two trillion dollars into emerging markets between 2009 and 2014 in the search of better returns than the zero interest rates on offer in many developed economies. If the situation sounds familiar, that's because it is. Many emerging markets got burnt by a similar collapse just a few years ago. They saw a huge influx of capital in 2006 and 2007, followed by crushing outflows in 2008 and 2009. That rollercoaster ride left many governments in crisis, unable to take control. So, was nothing learned from the last crisis? Yes and no. Most governments in emerging markets have passed reforms that should partly shield them from catastrophe -- many have abandoned fixed exchange rates, and cut down on borrowing in foreign currencies. But while governments curbed their exposure to dollar debt, emerging market companies didn't. In fact, analysts at NN Investment point to "excessive credit growth since the Lehman crisis, particularly in China." This massive foreign borrowing was encouraged by central bank stimulus in the U.S., Europe and Japan that made money extremely cheap. But with the Fed now signaling its first rate increase in nearly a decade could come shortly, perhaps as soon as September, the situation is changing. And then there is oil. Emerging markets, such as Russia, Venezuela, and Brazil depend on oil exports. But prices have been tumbling since last summer, and dropped again Monday. The recent turmoil in China makes many question the strength of economic growth in the world's second largest economy. China has become an even more important player in the global economy since the last crisis, which means its troubles now have much wider implications. China's decision to devalue the yuan is fueling the flight. The devaluation prompted Chinese firms to dig into currency reserves to repay foreign debt, rather than risk the value of the loans rising if the yuan fell further. Capital outflows have pushed many emerging markets currencies down. The Turkish lira, Colombian peso, Brazilian real, India rupee, and Russian ruble are among the biggest losers, but many others have suffered too. Countries are being forced to raise interest rates or dig deep into reserves to try to defend them.